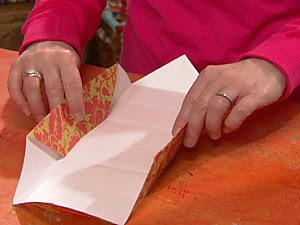 Cathie Filian: Make it: paper gift boxes made with 2 sheets of scrapbook paper and a few Origami folds. 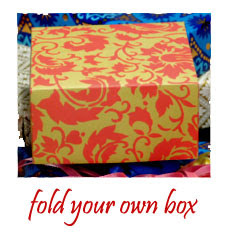 Make it: paper gift boxes made with 2 sheets of scrapbook paper and a few Origami folds. Need a quick box? 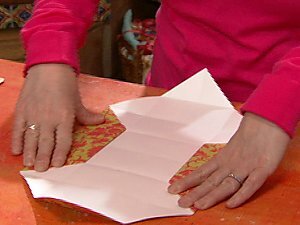 With a few simple Origami folds and 2 pieces of scrapbook paper you can make a gift box! For more ideas, join us on Facebook, instagram, pinterest and twitter. 1. 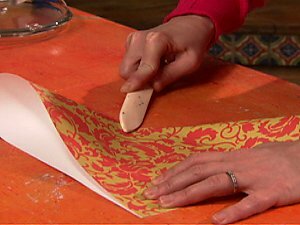 To make the box lid, fold one paper square in half diagonally, first one way and then the other, sharply creasing the folds with a bone folder or an old credit card before unfolding. 2. 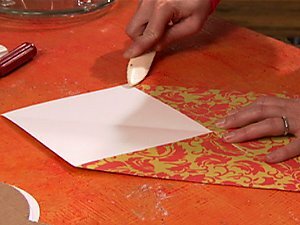 Fold the four corners in until they meet in the center of the paper, crease sharply and unfold. 3. 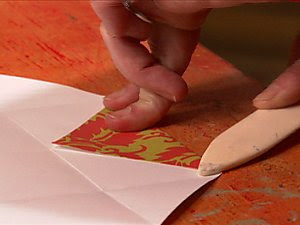 Beginning with the paper unfolded, fold one of the corners until it meets the farthest crease line opposite that corner. Crease, unfold and repeat the process with the remaining three corners. 4. 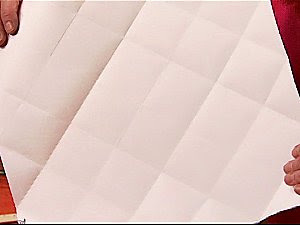 Fold each corner to its closest crease line before unfolding all corners to reveal an overall pattern of creased squares. 5. 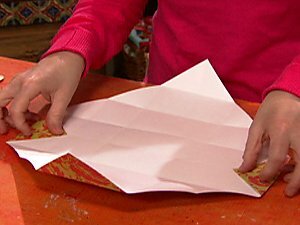 Open the folds and place "wrong side" up on the table. 6. Fold two opposite triangular corners at their first crease lines. 6. Fold again at the next crease lines. Use the last crease to stand up box sides. 7. Using your thumbs, gently fold in the remaining box sides along crease lines, forming the sides of the box. 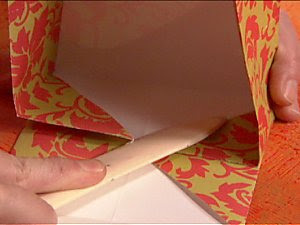 Crease and fold in the last triangular corner flaps to complete the box. 8. 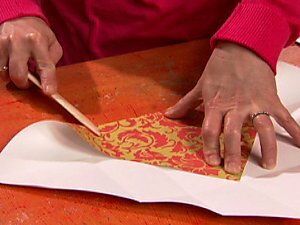 To make the bottom of the box, trim a 12"x12" piece of scrapbook paper to 11-1/2"x11-1/2" and repeat the steps for the top of the box.